Red tide presence has increased in Pinellas County, according to the latest FWC update. 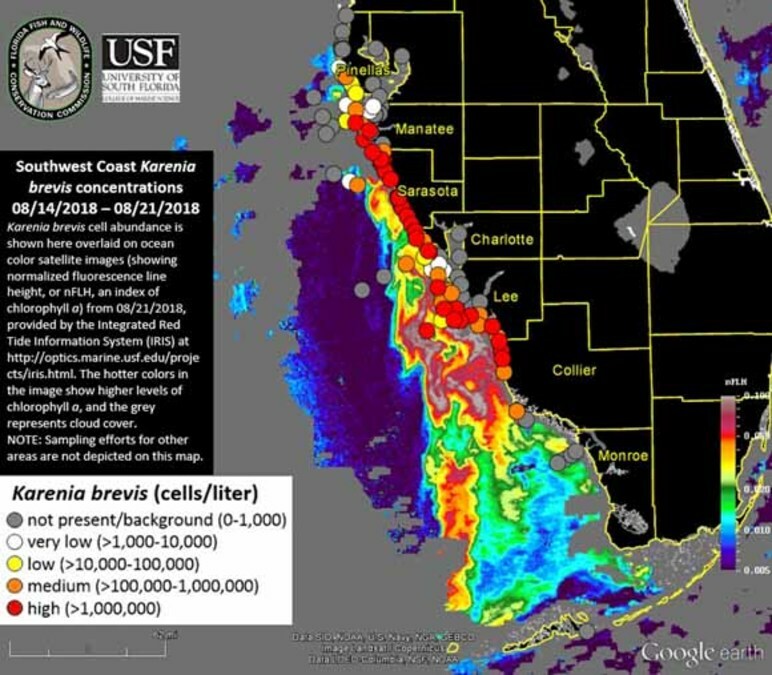 A new map shows Karenia brevis present in background to medium concentrations in Pinellas. Observations of >1,000,000 K. brevis cells per liter (“high” concentrations) continue to occur at coastal and inshore sites from Manatee to northern Collier counties, with most areas showing comparable or slightly increased cell concentrations relative to last week. This is the third consecutive week K. brevis was observed in Pinellas with additional impacted sites and higher cell concentrations observed relative to last week.